The Sensible Whaling Trust deplores the prank played on TVNZ’s Breakfast show recently, but also calls upon TVNZ to give real advocates for sensible whaling a voice. We have a serious problem with whales in this country. Whole gangs of whales have been known to turn up unannounced on beaches, causing trouble and leaving a mess of carcasses for others to clean up. Others cavort in the sea without heeding the most basic standards of decency, modesty or chastity. It is normal for whale young to be born out of wedlock. Those who aid and abet whales have even been known to threaten the safety of vessels at sea. The recent ramming of the Japanese whaling vessel Shonan Maru 2 in the Southern Ocean by the terrorist ship Ady Gil (effectively a fibreglass bomb) proves this. It was a miracle no serious harm was inflicted on the Japanese ship, but the outcome could have been much worse. Had scratches been inflicted on the steel hull the owners of the ship may have had to buff them out. 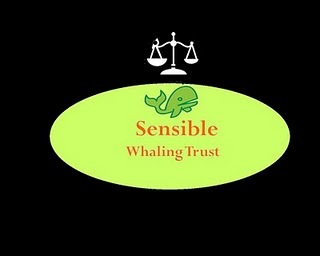 The Sensible Whaling Trust works tirelessly to raise awareness of the threat sea mammals pose to society. Our membership numbers are at record levels, and member contributions have enabled us to progress work on an Offending Whale Database, which will help to protect ordinary New Zealanders from the mischief whales and other cetaceans continue to cause. We work hard in the community at a grassroots level to help their victims. So we were extremely disappointed that TVNZ chose to interview someone from a non-existent organisation. The Sensible Whaling Trust calls upon the Government to take urgent action against pranksters of all kinds. In this modern liberal age it seems we no longer give any value to the truth, but it is time we took a stand. People who issue false press releases are spreaders of disinformation and are doing the work of the whales. And let us not pussyfoot around the whaling issue. If you have ever seen a whale up close you’ll know how cruel and savage they can be. So grab a club, harpoon or cannon and do your bit. Because the only good whale is the whale that comes wrapped in seaweed and rice. 11 June, 2010 in Sensible Whaling Trust.